Reactors have established a reputation for classic lines and a wide flight envelope, and the Reactor Biplane .61 GP/EP ARF continues the tradition! 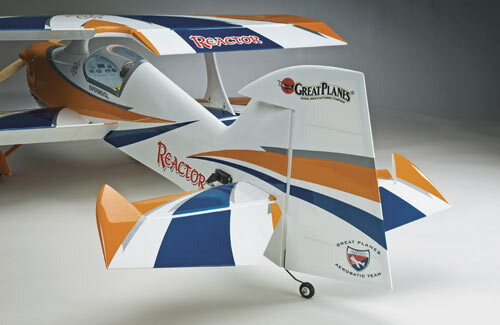 It's based on the Reactor Bipe EP, but larger in size and with the capability for smooth sport maneuvers and 3D aerobatics with an outrunner brushless motor as well as a 2-stroke or 4-stroke glow engine. 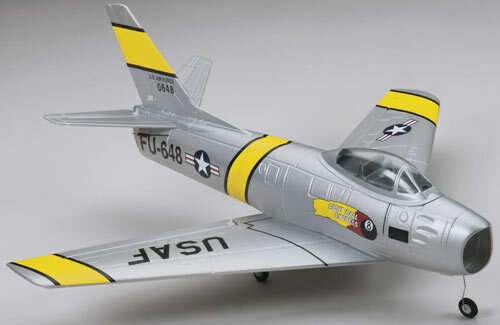 Lots of fiberglass parts add quality touches, and pre-hinged ailerons speed final assembly. It's the rock star of hybrid ARFs!The servo mount cutouts in the fuselage are sized for �mini� servos. 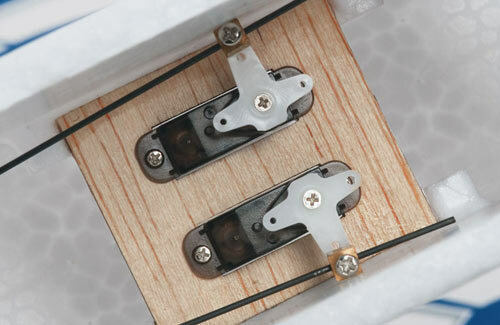 Templates are included for enlarging them to accommodate standard size servos as well. 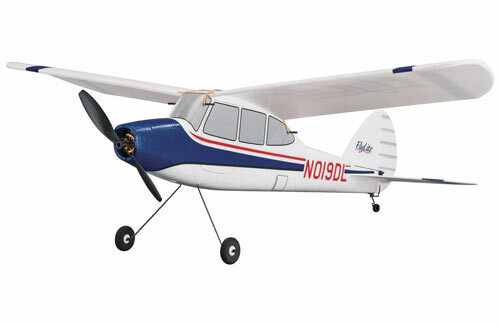 The large, airfoiled tail surfaces allow for smooth sport flying all the way up to incredible aerobatics, before slowing down for soft 3-point landings. 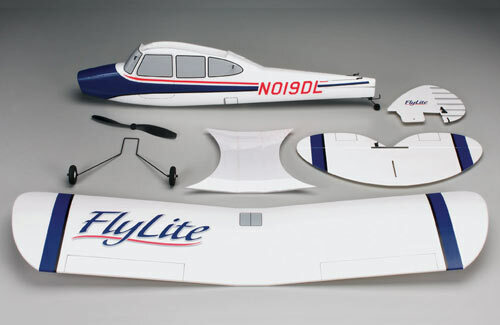 Quality construction is evident in the fiberglass cowl, wheel pants and upper wing mounting pylon. 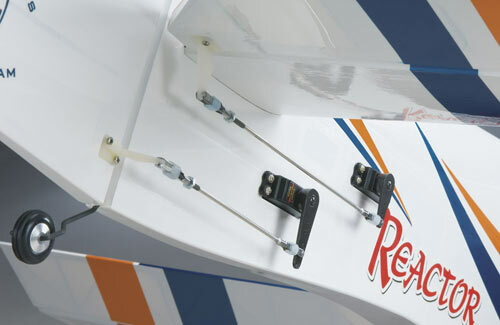 The pylon is glued in place to speed wing installation, with the servo leads inside for a cleaner, more aerodynamic look. � From sport to pattern to 3D � this beauty does them all. 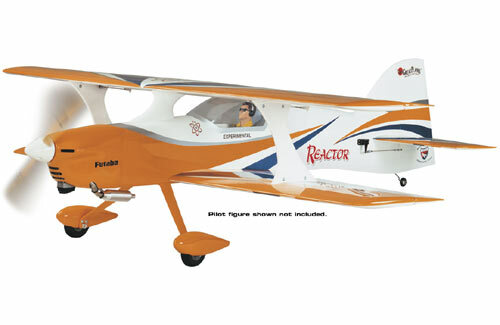 � Excellent performance with a glow engine or brushless electric power. � Sized and styled to rock! 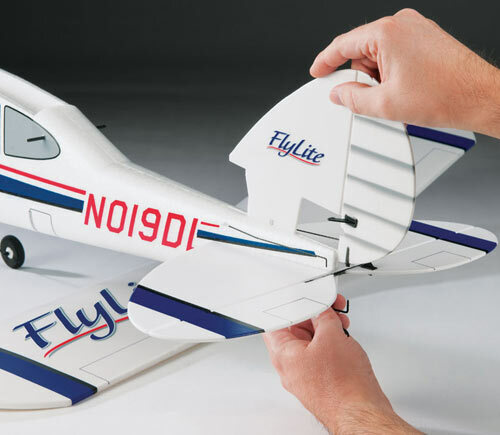 Great Planes� original concept for the FlyLite was to develop a slow-flying indoor trainer for beginners or pilots with little R/C experience. This goal was achieved... but then they found out how much fun it was to fly the FlyLite outdoors too! 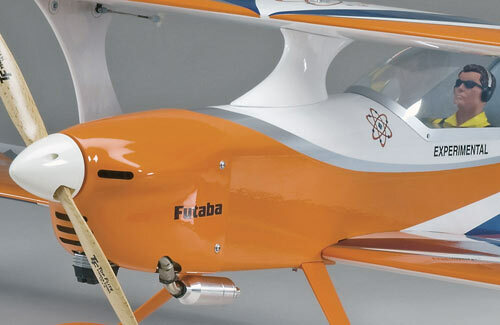 In calm conditions, beginners have all the space they need to detect what the FlyLite is doing, process the information, then make the necessary control inputs. 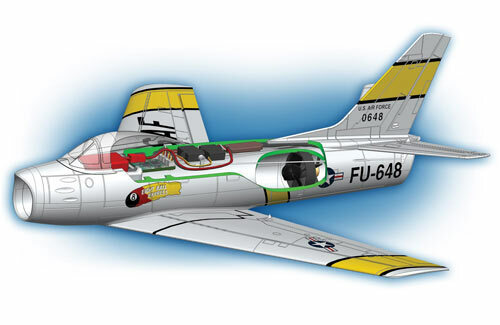 Experienced pilots will find ways to challenge themselves and experiment with this surprisingly agile model. Perfect for 4g servo, 8 Amp ESC and 1700kV brusless electric power. 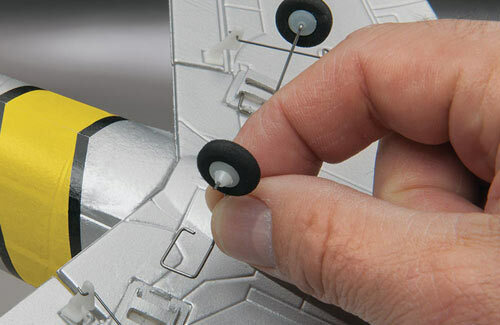 � Fast, easy assembly � be ready in about an hour! 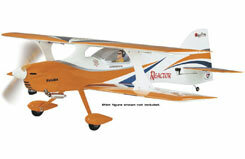 � AeroCell� foam fuselage and Pro-Formance foam wing surfaces make it crash-tough and feather-light. 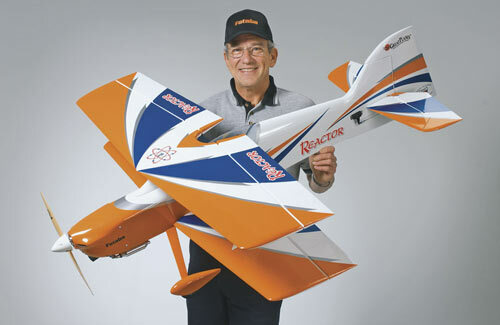 � 8x6 PowerFlow prop included! 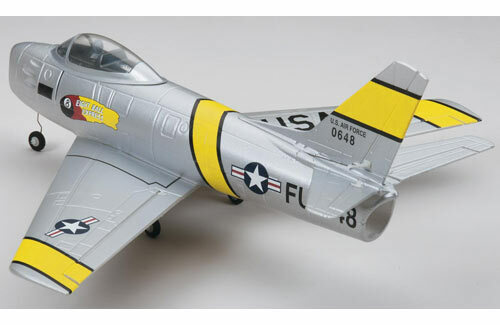 There are a lot of jets and a lot of micros, but there's only one F-86 Sabre � and it's only from Great Planes. It's the first micro that offers true EDF jet performance and authentic jet looks in equal measure � and it's available as a Tx-R. 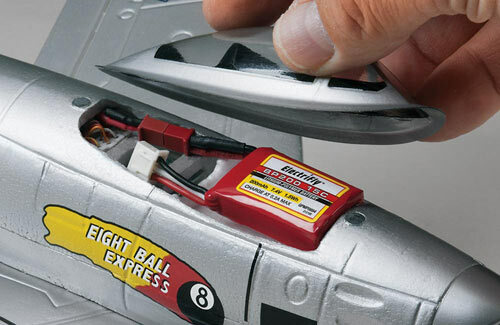 It measures only 15� from wing tip to wing tip, but offers the scale looks of a plane twice the size and the performance that jet pilots want. A factory-installed brushless motor and a HyperFlow ducted fan unit provide the power and thrust for full-throttle passes just off the deck and outstanding sport performance. 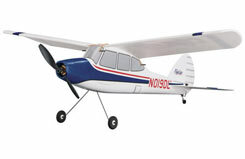 • Fully assembled, carefully scaled and factory finished. 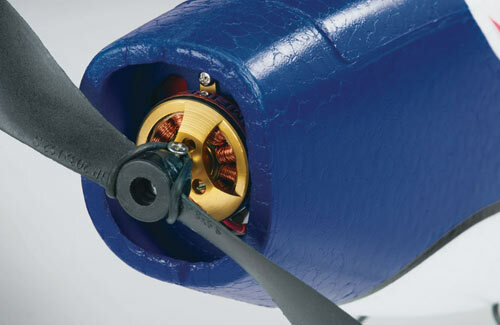 • Equipped for true jet performance with a ducted fan, brushless motor and ESC. 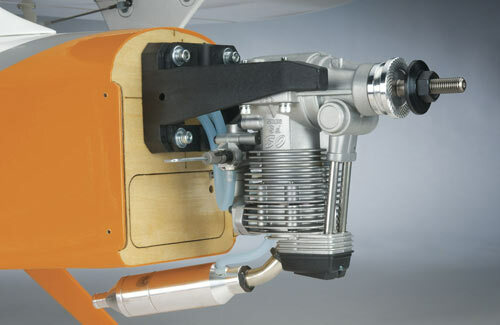 • Onboard gear includes three digital servos, as well as a 4-channel SLT receiver. 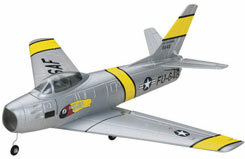 The F-86 Sabre arrives fully assembled and ready for flight. A battery and charger are included � and everything else is installed.